Glory House was established more than 50 years ago as a haven which treats people suffering from addiction and mental health disorders. The mission statement of Glory House is to help people struggling with addiction reclaim their lives through a faith-based and Christian-centered approach of healing. The philosophy at Glory House is to enable patients to develop life skills, problem-solving skills, and positive habits to help them restore their broken relationships. The center offers residential as well as outpatient programming in which they are provided with spiritual exploration and chemical dependency continuing care which enables them to make such decisions which foster healthy independent community living. Clients are taught constructive life skills, spiritual awareness, financial independence, respect for authority, freedom from crime, and a life of everlasting recovery and sobriety. The treatment programs utilize direct and scientific treatment modalities that are termed as evidence-based practices. Clients are also offered the Corrective Thinking program in which they are empowered to take responsibility for their actions and change the way they think. The center utilizes the Moral Reconation Therapy (MRT) through which client’s ego, social, moral, and positive behavioral growth is enhanced. As a result, clients are able to change their thinking, behavior, and actions to become productive individuals of the community. 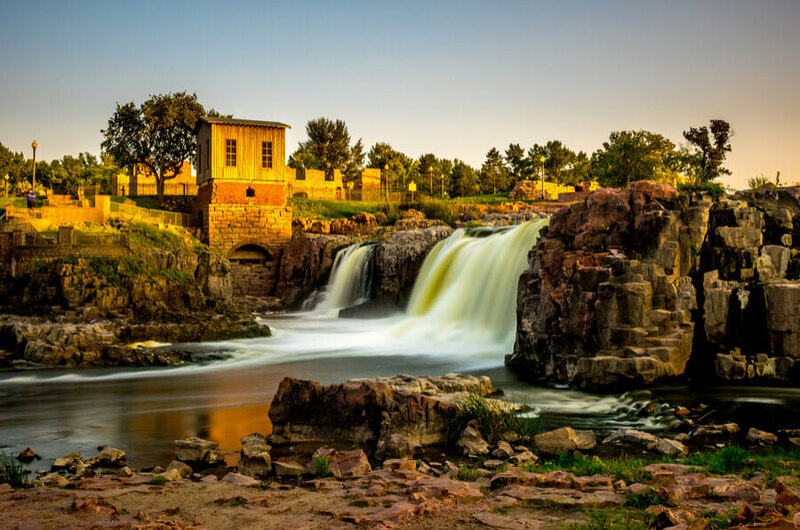 Glory House is located in the beautiful city of Sioux Falls in South Dakota. The campus is located in a beautiful area of breathtaking landscapes and views. The peaceful and serene environment of the campus allows clients to leave their worries behind, focus on their healing, and ultimately achieve lasting recovery. Clients are offered good accommodation where they stay in rooms shared among two to three clients. All rooms are adequately furnished with beds, side tables and storage spaces for each resident. Bathrooms are shared among clients of two to three rooms. There are common rooms for residents where they can sit together and relax. This gives them the opportunity to share their experiences and bond with each other. Clients are also provided with opportunities for recreation through various indoor and outdoor activities. The campus also houses a Church in which clients are given sermons and Christian classes are carried out. Clients participate in worship services, prayers, and Bible study. There is a team of in-house chefs and kitchen staff who prepare meals for residents three times a day. Residents are served in the cafeteria where they all eat together. Special dietary restrictions or requests of clients are also considered. Glory House provides treatment services to adults for substance abuse and behavioral health disorders. It is the center’s mission to provide affordable services to clients. The center charges a very nominal fee of $600 to $1,000 for 30 days of treatment. For people who cannot even pay this amount, the center pays their fees through the donations that it collects. The center accepts financial donations, cash back donations as well as useful stuff such as clothing and shoes for clients. The donations help to fund the treatment programs of indigent clients and families who cannot afford it otherwise. Glory House was founded in 1968 as a small halfway house which expanded with time to become a full-fledged rehabilitation center that provides treatment services to adult men and women. The house offers outpatient and residential treatment options which are primarily based on the Christian-centered approach. Clients are provided with a safe and peaceful environment where they can rediscover their spirituality and be able to use their inner resilience to fight off the urge of addiction. The center uses various innovative and evidence-based therapies as part of personalized treatment plans for each individual. Clients are empowered to grow emotionally, spiritually, and psychologically to face any difficulty in life and make intelligent decisions. This is achieved through educational lectures on life skills, emotional skills, and decision-making skills. Through holistic treatment approaches and a therapeutic environment, the center is able to help clients achieve lasting sobriety and a healthier lifestyle.